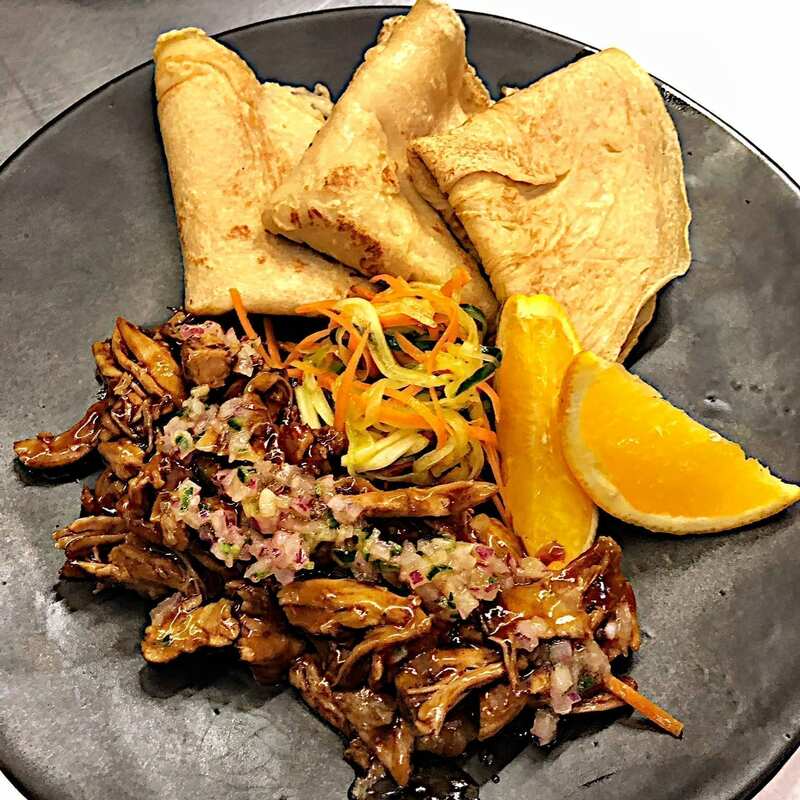 Sample the Bianca Coleman pulled pork neck teriyaki on Societi Bistro's 2018 winter menu | Eat. Play. Drink. Cape Town. LAUNCHED on June 21 to celebrate the solstice, Societi Bistro’s 2018 winter menu marks the end of one era as it gently ushers the restaurant and its patrons into a new one. This will be the last time we’ll see dishes named after regular diners, a practice that will be phased out by early next year in an evolution which has already begun. The winter menu itself is drastically pared down and sees a return to the format of a small selection of signature dishes complemented by daily blackboard specials in the true bistro spirit. 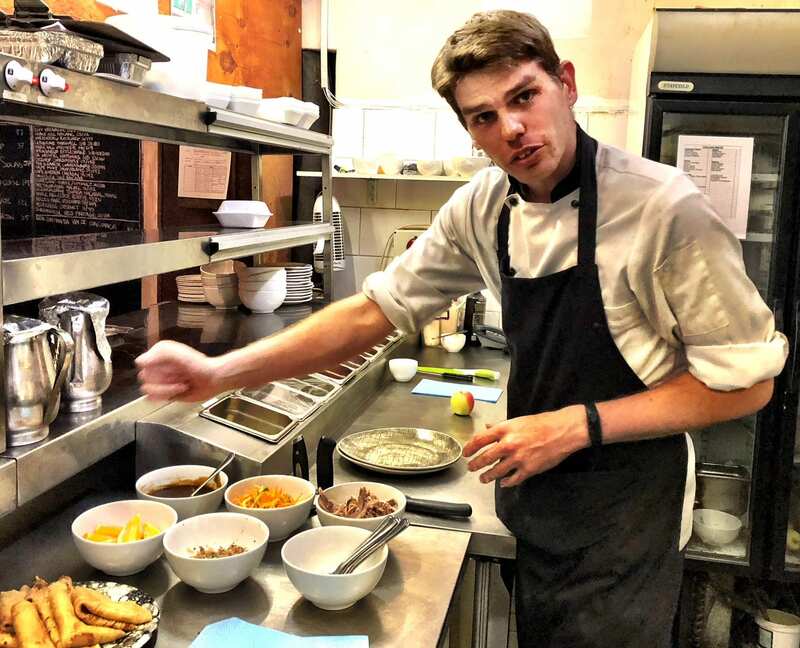 Having had a hearty winter dish named for me for the past three years, this time around new head chef Robert Giljam (below) invited me to make some submissions as to what I would like as a different dish. I sent through a few ideas and was eventually summoned to the kitchen to “meet” my new meal. “In the end we didn’t use any of your suggestions – they were all very good though,” he said. Giljam is strongly influenced by Asian flavours so he slow cooked some pork neck and pulled it, then tossed it in a pan with an orange and teriyaki glaze. It’s served with a fresh slaw of carrots and crunchy bok choy and a salsa packing a hint of chilli heat. Pile all that into a pancake, drizzle with the juice of fresh orange segments, and shove it in your mouth. I recommend using your hands; it will be messy but it’s the best way. The dish is delicious, if I say so myself, and best of all it comes in at just under R100. Tarryn Oppel’s butter chicken with basmati rice and naan bread is even less at R87, and the vegan black bean hot pot with miso, coconut cream and basmati rice named for Lynette Botha is just R58. Our former colleague, author and playwright Tony Jackman may have moved away from Cape Town to live the country life but his spirit lives on right here at Societi this season with lamb shank with tomato, braised vegetables, red wine, and buttered mash. There are nods to two things on the winter menu, says Weetman. 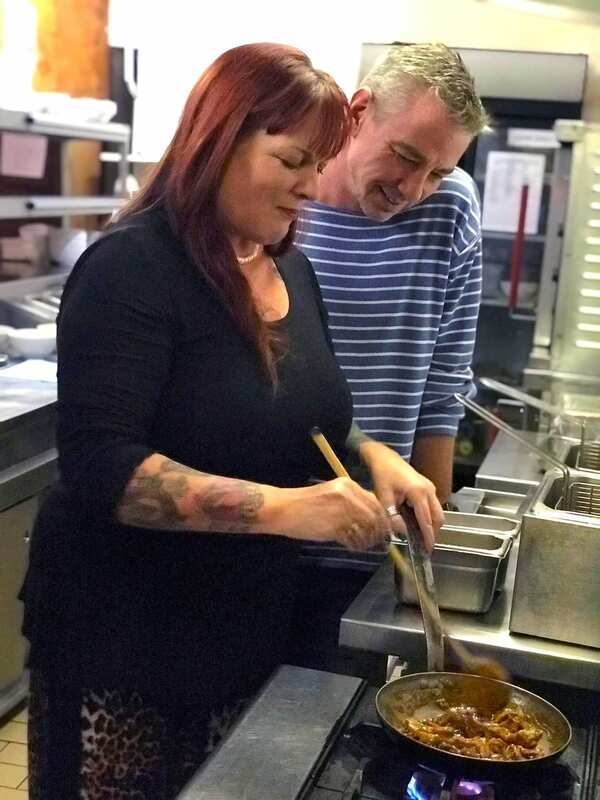 Firstly, the Bistros Go Global campaign – which runs until September, four days a week – is beginning to influence a broader source of dishes. “We’re looking away from just France and Italy, so it’s tying in nicely with that. As an example of a South African inspired take on a French classic – as well as having a bit of fun – there is a starter of snails which are still garlicky and buttery but wrapped inside a vetkoek. “So you can’t see them; lots of people love eating them but can’t stand looking at them!” says Weetman. Of course, there are some dishes with popularity that has stood the test of time, that will most likely always remain lest we riot – the Caesar salad, the mushroom risotto, and the lemon tart and chocolate nemesis desserts. Societi Bistro is at 50 Orange Street, Gardens. Telephone 021 424 2100. For more information, click here.